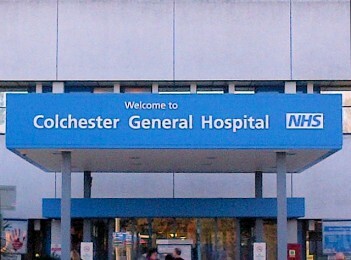 The Colchester General Hospital has today (2nd November) announced that is has left special measures after four years rated as ‘Inadequate’ by the Care Quality Commission (CQC). The Hospital has received the good news following a four day inspection by the CQC in July which measured its management and performance. The inspection recognised the improvements achieved by the Hospital and has now given the Hospital an overall rating of ‘Requires Improvement’ with over three quarters of the areas inspected rated as good. In 2016 the CQC report rated 15 areas inadequate, whereas in comparison in 2017 there are none. Some areas of the Hospital also achieved an ‘Outstanding’ rating including the Trust’s children transition team. However there is still room for improvement as the report rates some areas as ‘Requires improvement’ including outpatients and emergency services. “We know we still have challenges ahead and improvements to make. However, I think we’ve shown that staff here at Colchester really can do it and we have a strong platform now for continued quality improvement. The immediate focus for the Trust is to manage our operational performance going into what will undoubtedly be a tough winter. For more information you can read the full CQC report here.